Nieta Manser has been teaching primary children for the last ten years. As a teacher and mother of four, she passionately believes that children learn best through literature. Nieta uses her teaching experience, as well as her journalism degree, as the springboard for creating her children’s books. 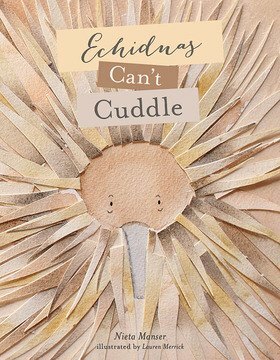 She is very excited to debut her published work with Echidnas Can’t Cuddle.